One of the most basic of financial management activities is creating a budget. 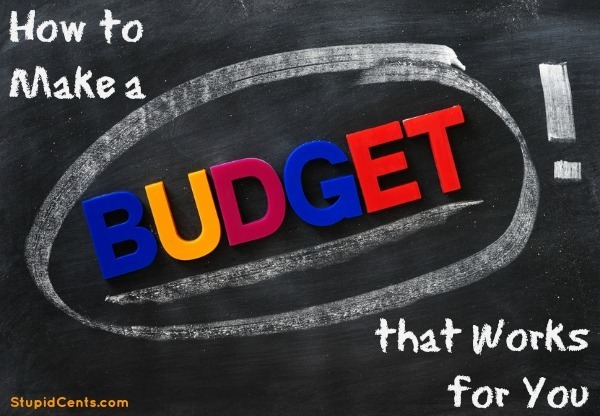 Unfortunately, there are many who have no idea of how to make a budget that works for them. If you want to make a budget that works for you, it needs to be based on your own financial priorities and goals. Think about what is most important to you. Do you want to pay off debt? Do you need to make sure that the mortgage is paid each month? Would like to donate more to charity? Are you interested in setting aside more money for retirement? Really think about what is most important to you. Be honest. If you are serious about learning how to make a budget that works for you, you need to be honest with yourself and base your budget on your own financial priorities. Now that you know your priorities, it’s time to see how money moves through your personal financial system. Take a look at your income. Where does it come from? When does it come in? Many people receive regular paychecks every two weeks, or once a month. Pay attention to when you are paid. Then, take a look at where your money is going. When are your bills due? Does it match up with when you have money in the bank from your income sources? And what are you spending your money on, anyway? Track your spending for at least one month (but it’s better if you can do two or three), and see where your money is going. Get a good feel for where the money comes from, where it goes, and when it all happens. Chances are that once you start tracking your spending, you will find that some of your expenditures don’t match with your stated priorities. If it’s important to you to set aside money for your child’s college education, why are you waiting to fund that item last, after you’ve bought a bunch of stuff that you don’t actually need (or even want)? Instead, create a new budget. Your new budget should reflect your most important priorities, making sure that those items are funded first. If you have to leave something off your list, make sure that it’s one of the less important spending items. Then, remind yourself of what is important as you spend your money each month. You will achieve a better measure of success with your financial goals if you learn how to make a budget that works for you, according to your priorities. Once you have figured that out, it will be easier to make wise choices with your money, since you’ll be spending only on what really matters to you.